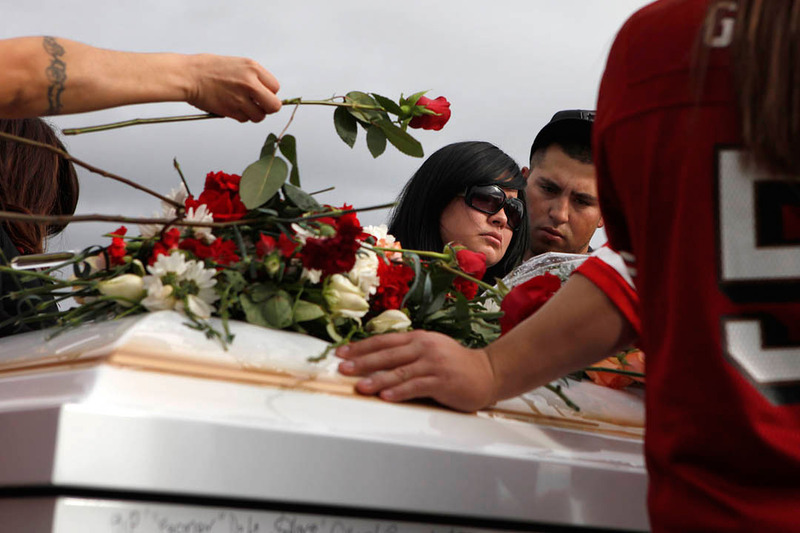 Diana Serrato, center, stands by her older brother Rogelio Serrato's coffin as friends and family lay flowers during his funeral January 13, 2011 in Greenfield. "He didn't deserve this," said Diana. "The sheriff killed the wrong man."